Starting from the airport you first have to follow the freeway with direction Palma/Santanyi and than direction Playa de Palma/Santayi until the depature to Manacor. Now always follow the signs with direction Manacor and ex Manacor to direction Cala Ratjada until you arrive at Artà. At Artà you first need to drive into the pedestrian zone(which is allowed) and take the first possibility to turn to the left. Then take the second road to the right and follow that street until the end of that road. 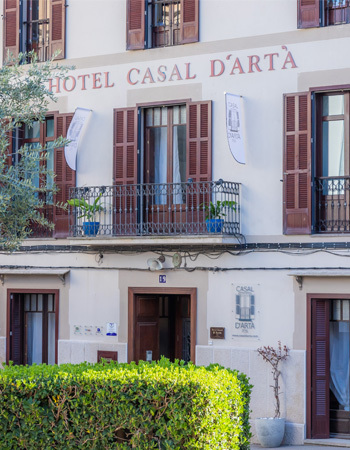 Here you need to turn to right and after about 500 meters you will arrive at the Hotel Casal d'Artà. Welcome! We are looking forward to see you!